Our medical providers are passionate about what they do and our patients are excited about the results they’re getting. Many patients often report being pain-free for the first time in years! Can you imagine that for yourself? Call Us Today For Your Complimentary Consultation! Then YOU May Be A Candidate For This Amazing New Treatment! Proven Medical Treatment with an 87% Success Rate Now Available! No need for wheelchair, walker or scooter anymore – thanks to Neurogenx! 5 years ago I came to see Dr. Bahreman and he was treating me for blubus and fibromyalgia and poly maliga, the essential trimmers I have and among others and it was basically just having to wait and see and there was really nothing they could do to stop the progression of the disorders I have, and last time I saw him last November, I couldn’t even get up off my scooter he had to help me up to stand. I started walking after the fourth Neurogenx treatment without a walker, I went to the mountains and walked along the town, my balance is really good I haven’t had to use a walker and my scooter is parked in the garage, I can come from the garage up to the office and back to the garage with no problem. I was able to sleep at night! I came to Neurogenx looking for some immediate relief for the severe pain I was having in my feet and toes. After the first couple of treatments I was able to sleep at night without being awoken by the pain in my feet. I would say I’m already 50-60% better than I was on the first day. I couldn’t feel hot or cold, but now I can! I’ve been experiencing loss of sensation in my legs and feet for a period of over ten years. When I first came here I was numb from the knees down. I was so numb at one point that I stepped on a burning piece of plastic and burnt a quarter-inch wound on the bottom of my foot and never even knew it until I felt the blister with my hands four days later. I also couldn’t feel hot or cold, but now I can. I can also now feel the bottoms of feet all the way to my toes. I have still have some improving to do, but I am very happy with the results I’ve gotten so far. And, they don’t give up on you here…they keep going! 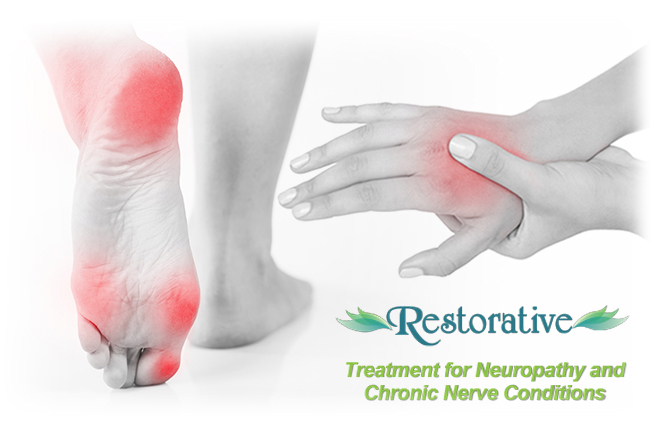 I started experiencing peripheral neuropathy approximately five years ago. 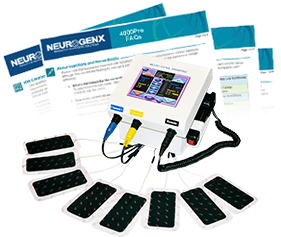 After seeing 40+ doctors, I recently found one who has been treating neuropathy patients with the Neurogenx 4000Pro. He said he has had excellent results with this treatment and, in his opinion, this technology is the best device on the market today to help patients with neuropathy. He also uses laser therapy and he sees better results with electromedical treatment. It is the best thing I have yet to find. When I first started my treatment at Neurogenx the Beaches, I could not wear pants because of the pain it would cause. My legs would feel like they were on fire if I tried to wear them. Now today I can wear pants and have no pain at all! I have been able to cut my pain medicine for my neuropathy in half and will be going completely off of it here soon. I have feeling back in my legs and feet that I have not had in years. My legs look and feel human again. I would suggest this treatment to anyone. It is the best thing I have yet to find.